What Security Analytics key capabilities should enterprises focus on in their solution selection process? Which tools deserve the most attention? 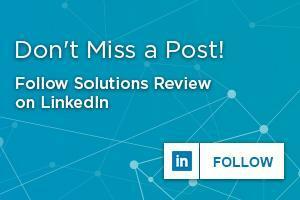 What goals should enterprises look to solve with a next-generation Security Analytics solution? Before we can answer those questions—or perhaps as part of answering these questions—we must first distinguish Security Analytics from its brethren, SIEM. SIEM (Security Information and Event Management) combines Security Information Management and Security Event Management into one solution; these solutions aggregate security data from throughout the enterprise via multiple collection agents. SIEM isolates data indicative of a security event, creates an alert on the event, and coordinates remediation efforts with other cybersecurity tools to prevent its execution. Quite similarly, Security Analytics combines data collection and analysis for use in threat monitoring and detection. It identifies and isolates anomalies in the network, can detect user-based threats through UEBA, identify network threats, and utilize and analyze big data. Much like SIEM, Security Analytics can help enterprises recognize threats on their network and achieve compliance mandates. SIEM and Security Analytics sometimes end up defined as parallels of each other. Cybersecurity experts sometimes label SIEM a branch of the Security Analytics tree. In either case, enterprises must educate themselves on the Security Analytics key capabilities each solution offers. But what are those Security Analytics key capabilities? Although all of the Security Analytics key capabilities remain vitally important, few possess the prominence as its data collection. Your enterprise network is vast, and simply understanding all of the data generated through everyday interactions and requests can prove overwhelming. Without a proper cybersecurity solution in place, you won’t have the capabilities to aggregate this data in a central location for proper analysis. Security Analytics monitors web traffic and analyzes it to detect known malicious web, mail, and file-based threats. However, Security Analytics can also monitor cloud resources, applications, IAM data, external threat intelligence sources, and endpoints. In other words, threat monitoring provides your IT security team’s network visibility, allowing them to recognize threats faster than before. Machine Learning refers to an artificial intelligence algorithm which learns from its initial instruction inputs to handle rote or mundane cybersecurity tasks. This relieves a huge burden on your IT security teams, allowing them to invest more of their time and resources into crucial processes which require human creativity and intelligence. Additionally, Security Analytics provides security alerts which help cybersecurity professionals prioritize their threat hunting efforts. Machine learning capabilities can learn the normal behaviors of both users and non-human entities through UEBA; it can recognize when their behaviors deviate sufficiently to pose a security threat. Threat intelligence refers to the organized and analyzed information on potential and current cyber attacks which threaten enterprises globally and in specific geographic locations. 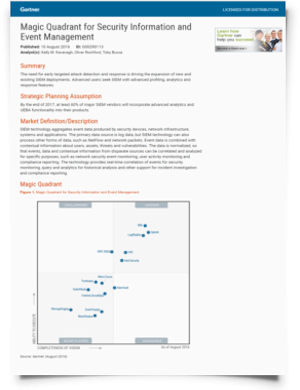 This intelligence supplements threat monitoring and detection efforts by educating both IT security teams and security analytics tools on the most-pressing digital attack tactics and tools. Security Analytics solution providers often provide their own feeds of threat intelligence based on their other clients’ experiences. Many enterprises prioritize selecting a solution for its threat monitoring and intelligence; however, compliance remains one of the top Security Analytics key capabilities. A solution can help you recognize potential violations in real-time; it also allows you to automate the fulfillment of regulatory reports for the major compliance mandates. In conclusion, this list does not encompass the entirety of Security Analytics key capabilities; others include integration and other aspects of log management. However, this list should help your enterprise determine whether it needs a new component to its cybersecurity platform. There’s no day like today to become more secure in the digital marketplace. 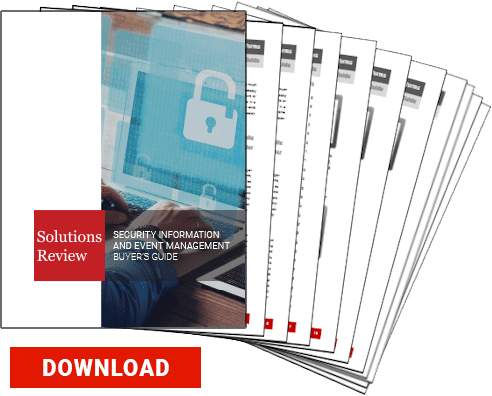 If you would like to learn more about Security Analytics key capabilities or SIEM in general, be sure to check out our free 2019 SIEM Buyer’s Guide!